This exhibition includes baskets from many Indian tribes in North America and offers insights into the individual regions and histories of each tribe. The botanical fibers and materials used for dyes in the baskets reflect the locales in which the baskets were produced while the decorative patterns and methods of ornamentation reveal much about the characteristics of the tribes. Because indigenous botanical fibers vary greatly in the regions from which these baskets emanated, this is an extremely diversified collection. Display items include a Haida split root basket, an Alaskan beach grass basket, a large Mohican covered basket of woven elm splints, Santa Domingo and San Juan willow baskets, a Choctaw basket plaited of dyed river cane, and a Cherokee wicker weave buckbrush or honeysuckle basket. Baskets were intimately associated with the most important stages of life, including birth, puberty, marriage and death. Among the display items commemorating important events are Apache and Navaho wedding baskets and a Hopi reward plaque. Indians also used baskets for a variety of household and utility purposes. Some of the uses are suggested by the following pieces: a Southwest pitch sealed twine canteen, a dyed willow olla, a Rappahannock household storage basket from Virginia and a western Klamath rafia basket. Baskets and photographs of baskets in all five major weaves -- coil, twine, twill, wicker and imbricated -- are included in this display. 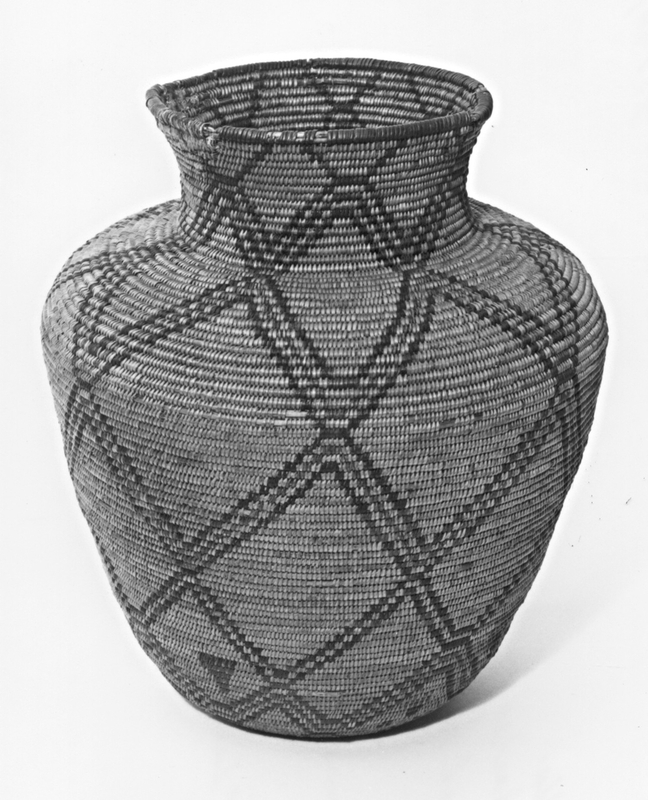 Many fine Northwest coast baskets, along with examples of baskets from the Southeast, Northeast, Plains and Woodland tribes, make up this exhibition. 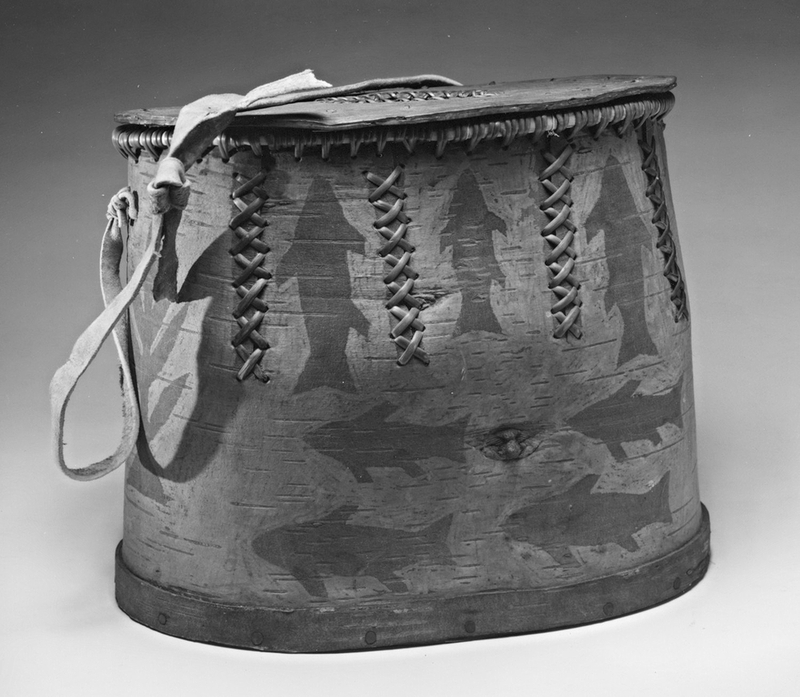 Highlights include several Makah oval and lidded baskets and an Apache figural basket decorated with people and deer.